The Fink Tank system is heading for a strong close for the season. Find out more and how you can get a 10% discount for this week only. This season we’ve been banging the drum for the free football system that we make available to the Smart Betting Club members. Our core mission is to help punters find the very best tipsters, but offer a select number of free systems as nice bonus.And as we enter the final month of the season, it looks as though SBC members will be taking this nice bonus all the way to the bank! Before we update on the system, we recognise that we’ve just a month of the regular football season remaining, so we’re offering a 10% discount for this week only so you can test out the free system (amongst other things!) ahead of next season. To take advantage of this discount, plug in one of the following codes to receive 10% off at checkout. Our football system is based on the excellent free Fink Tank ratings and you can follow these yourself should you wish. What Smart Betting Club members have exclusive access to is our short list of value bets, saving you the time and complication of working out the raw ratings. 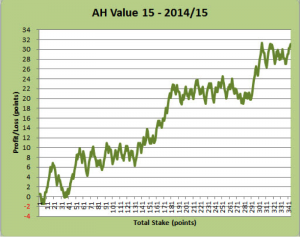 There are four different methods available to follow the ratings, but the jewel in the crown so far this season has been the AH15 Value Method. This system only picks bets if there is at least 15% value in the available odds and uses Asian Handicap to reduce any volatility in betting returns. We also highlight the best odds and the next best bookie if those odds have gone. For UK focused punters, we supply a UK bookmaker only spreadsheet. ‘PIN’ stands for Pinnacle and ‘B365’ standing for Bet365. If you’re new to Asian Handicap betting, fear not. Another valuable bonus of joining the Smart Betting Club is our comprehensive pro betting guide which covers all the basics you need to know such as Asian Handicap betting and other betting essentials. We’d like to stress again that the Smart Betting Club is not a tipping service and these bets are put up as a value added extra to our core offering of comprehensive tipster reviews. As ever, there are no guarantees with the tips we’ve put up, but we hope they do give you an idea of how the system could work for you. If you want to access all the qualifiers this weekend and the other benefits of membership, then join us at the Smart Betting Club today. To take advantage of 10% discount, plug in one of the following codes to receive 10% off on checkout. Over the last few months we’ve slowly been revealing the intricate details of our powerful football betting combo method to our subscribers. The general idea is to examine tips from a select group of profitable tipsters and pay particular attention to any tips that overlap. 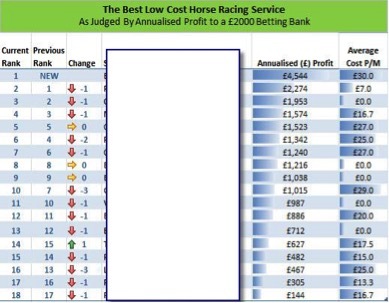 If more than one tipster or ratings service is going for the same team, the more likely it is that you’ll make money. Should you bet with Asian Handicap or Home/ Draw/ Away? For the initiated, Asian Handicap can be used to take out the draw. This means you might win or get your money back if there’s a stalemate instead of losing. There’s more to it than this, but the general gist is that you tend to sacrifice bigger odds in return for the security of covering the draw. First we’re going to set a baseline figure by revealing all bets selected by at least one of the four tipsters over the three seasons 2011-14. … the key point is what this means in terms of Return on Capital (ROC), the bottom line measure of how much our “betting investment” is expected to return over time? However, this only tells part of the story, because what we’re really interested in are the qualifiers that are picked out by multiple tipsters more than once. Now we’re specifically looking at those bets which are picked by more than one tipster. Now we can see another dramatic drop off in ROI performance with Asian Handicap betting, particularly with the home bets. It seems that this time round we’ve also had to sacrifice some Return on Capital if using the AH approach to betting these selections. The straight Win bet approach has produced an annualised ROC of around 115%, but betting the Asian Handicap reduced this to around 91% per year, averaged over the three seasons 2011-14. Why is this, and why did we not see this lower ROC for the earlier, wider group of all qualifying selections? One possible reason, and something that certainly fits intuitively, lies in the nature of the two groups of bets. The bets which “don’t make the grade”, when moving from all qualifiers to the combo bets, are those which are selected by one tipster only. We’ve also observed that a disproportionately high number of low odds bets were flagged by one system only. Another key reason is that performance of away bets. These are quite often at bigger odds and it seems that taking Asian Handicap in these cases dramatically erodes the value available. We’ve highlighted again the importance of using Return on Capital as the primary measure of a betting investment. We found that, for all qualifiers, the ROC was very similar whether you use Win or AH betting (128-129% per year over our 2011-14 sample), but this equated to a drop from 6.2% ROI (Win bets) to only 3.6% for the AH bets. How best to utilise them may well come down to personal choice and your individual betting circumstances. Do you prefer the smoother, more predictable route to profit that Asian Handicap betting normally provides, or are you sufficiently comfortable with the greater highs and lows associated with the riskier, but apparently more rewarding, win betting approach? Have you been restricted by, or are unable to access, a number of bookmakers offering the stand-out prices on Win bets? Are you a more experienced, high roller wanting to take advantage of the greater liquidity and larger betting limits offered in the Asian Handicap markets? This is just a snapshot of the analysis we undertake in our Smart Betting Club editions. If you want more sign up here. SBC 92: A Profitable Double Double! Inside the latest SBC Magazine (Issue 92) we have two highly profitable tipsters you will need to know about and a pair of articles offering betting insight you can’t afford to ignore. We have a football tipster specialising in goal betting and a racing tipster with high turnover profits. Our betting insight articles include an update on our acclaimed football combo strategy as well as an in depth feature on odds movements for football tipsters. FEATURE 1: Football Combo Profits Compared – 260% Profits v 153%! Within the last three editions of SBC, we have revealed the full details of our football combo strategy. In summary, this shows you how to make huge football betting returns by monitoring the tips of multiple experts. When more than one expert agrees on a tip, you’re more likely to have found a value bet! To really unlock the profits from this methodology, you need to know not just WHO to follow, but also HOW. 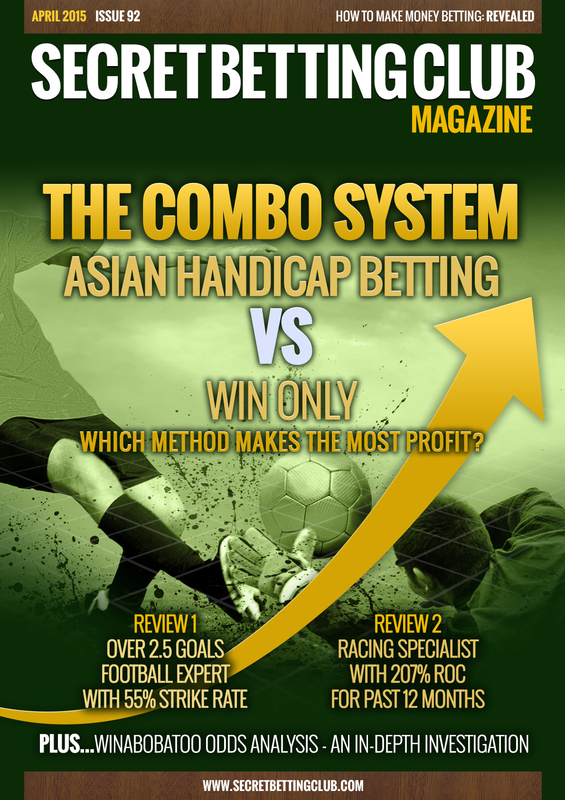 In this month’s edition, we dig a little deeper on how to follow the football combo method – specifically whether to use Asian Handicap or not. Asian Handicap bets are often favoured by savvy punters because of the unlimited liquidity available, but they have their disadvantages too. They can often help smooth betting returns, but sometimes this is at the cost of your take home profits. The left hand side shows returns betting win only, while the right hand side shows returns betting with Asian Handicaps. We can see that betting using AH can reduce your ROI – this much is typical, but what is unusual is that it also reduces your take home profits (your Return on Capital). To find out more valuable insights like this, grab your copy of Smart Betting Club’s 92nd edition today. Also this month, we review a racing tipster offering a busy turnover of bets throughout the racing season. With over a years’ proofing under his belt and an incredible 3,246 bets in this time, it’s high time that we shared the promising results from this tipster. It’s this detailed analysis that reveals that flat racing has produced the biggest bang for your buck with +241 points from 769 bets (20.2% ROI)! Our next review covers the tips from a maths graduate focusing on the Over 2.5 goal market. This tipster initially became involved in betting whilst studying for her degree, and having identified a “quirk in the bookmaker’s goals pricing”, her gambling grew to become the source of a very useful second income that helped to see her through her studies.This was over four years ago and since then she has accumulated a healthy return of 118.7% Return On Captial. The service is also available at a low cost with excellent odds availability. FOOTBALL Special: Should You Wait Until Kick-Off? Should you wait until kick off to get better odds? Or should you grab the odds as soon as you can? We provide a definitive answer to these questions with even more insight to help you get the most out of your football betting. Goal Betting Profits: 120% Bank Growth! The Smart Betting Club Magazine has been released today! Once again it’s jam-packed full of expertise, tipster reviews and analysis to help you make money betting..
FOOTBALL: When to use Asian Handicap… And when not to! BOOKMAKER Special: Which Bookies Are Best For Football Betting? Not only this but as a Gold SBC member you can also gain full access to our monthly Tipster Profit Reports, Practical Punter Reports & enjoy the peace of mind of our Money Back Guarantee if not satisfied once joining! Many people dismiss the Grand National as a complete lottery, but don’t let the large field size fool you into thinking you can’t make money on the big race. Ok we might not be talking a guaranteed fortune here, but there are some tricks and stats that could see you earn enough for a celebratory round at the pub…or maybe a little bit more. Saturday morning will be awash with insights and supposed expert opinion on who will win, but very few people are worth listening to. Betting Expert: A respectable betting and tipping community with their own Grand National preview available here. Easy Odds: Another general betting site with free betting tips that are better than average. Ben Linfoot: Sporting Life’s Ben Linfoot is worth a special mention as his free tips are a cut above the rest. It’s worth checking his Twitter feed for any last minute nuggets. One of the best, if not the best racing database out there is ProFormProfessional. Their ratings program is excellent and their system builder is a powerful way to build your own betting strategies. If you just want to dip your toe in the water of statistical betting, then we recommend their race guides. They offer a fantastic visual form guide that includes speed ratings, trainer/ jockey form and a whole host of other features. Everyone’s dream is to pick out a big priced Grand National winner and earn bragging rights with your friends, not to mention a nice lump of cash. It’s true that favourites haven’t been the punter’s friend in the last three years, with the last few winners coming in at 33/1, 66/1 and 25/1 SP. Let’s just say the bookmakers have been rather happy with those results, but up until 2012 backing all horses between 1 and 9 in the betting order would have produced a profit to Betfair prices since 1997. The number one favourite (including joint favourites) has won four times historically since 1997. This is enough to make you a profit of £18 to £1 stakes which is an incredible 70% Return on Investment. Should the longer historical terms exert themselves, then focusing on horses in the top half of the betting order could be the way to go. The Grand National is technically a 16 runner handicap paying out, which means you are paid out up to four places when each way betting, but most bookmakers (online) will pay out to five places with some even going up to six. The front end is also a good shout for each way betting, especially if your bookie is paying out five places as they often do for the National. Some even pay out six places. If backing all horses in the top three of the betting order, you historically have 1/3 chance of your horse at least placing. If backing all horses in the top six of the betting order, you have a 50/50 chance of your horse placing. 2012: Winner 33/1, but 2-4 were 16/1, 8/1 & 16/1. 2013: Winner 66/1, but 2nd & 3rd were 12/1 & 10/1. 2014: Winner 25/1, but 2nd & 3rd were 14/1 & 10/1. If you’ve not yet exhausted all the potential bookmaker accounts available to you then it’s happy days with the Grand National as the bookies will be falling over themselves for your custom. From £50 matched bets to treble the odds on winning National horses, the choice is yours. Most of the time there will be a small max bet on the best offers, so make sure you do your homework on whether it is worth while to you. Bet72 has one of the most comprehensive lists of free bets here. Oddschecker also run a number of exclusive offers. The bookies will also be after business from their existing customers which means lots of lovely insurance offers such as ‘Money back if a faller’ or money back if the ‘favourite wins’. Quite often these offers won’t be released until the morning of the race so it could pay to wait before you shop around. There will also be a number of time limited price boosts released on social media. Generally be wary of these as bookies will boost something for a reason, but you can get your own back by utilising Betfair to lock in a profit. Bookmark Bet72’s Bookie Twitter Feed for the latest offers on the day. A nice way to scrape some free bets is to check on what the dead tree press are running on the day of the National. There will be at least one or two papers running £1 or £2 no quibbles free bet coupons for you to use in shop or online. You could find you pay for the price of your paper with a £1 winner, or if you’re feeling really cheeky, check your local takeaway for the day’s redtop! Many professional punters steer clear of the National, or just treat it like any other race. For all my years betting as a professional though, this is one race where I enjoy the social aspect of Grand National betting and for once have a small bet just for the fun of it. If you earn enough to buy your friends a round in the pub from a £1 free bet you found in the back of the Daily Mirror, mine is a Guinness! Profitable Free Betting Tips & Not Just For the National! A hidden benefit for Smart Betting Club members is our collection of free betting systems and tipsters. While our key focus is reporting on the most profitable betting tipsters in our regular magazines, we like to provide access to free tips as a nice bonus. As you might expect, we keep detailed records of all these free tips just as we might all the tipsters we monitor. Quite often our members use these free tips as a way to kick start their betting and more experienced members use some of them as part of their betting portfolio. This awesome foursome are available free to Smart Betting Club members, but be aware that they are going soon! By the end of May these tipsters will have flown the roost as standalone services or will be available only as part of our Platinum subscription. However, you can sign up now to experience at least two months of these great free tips and lock in big discounts. To whet your appetite, here are some more details on each free service. Each week we post the latest qualifiers from our in-house football system – the ‘Fink Tank’ up on our members’ forum. There are 4 different sub-systems you can choose from with the best this season – and all four have made a profit in 2014/15. 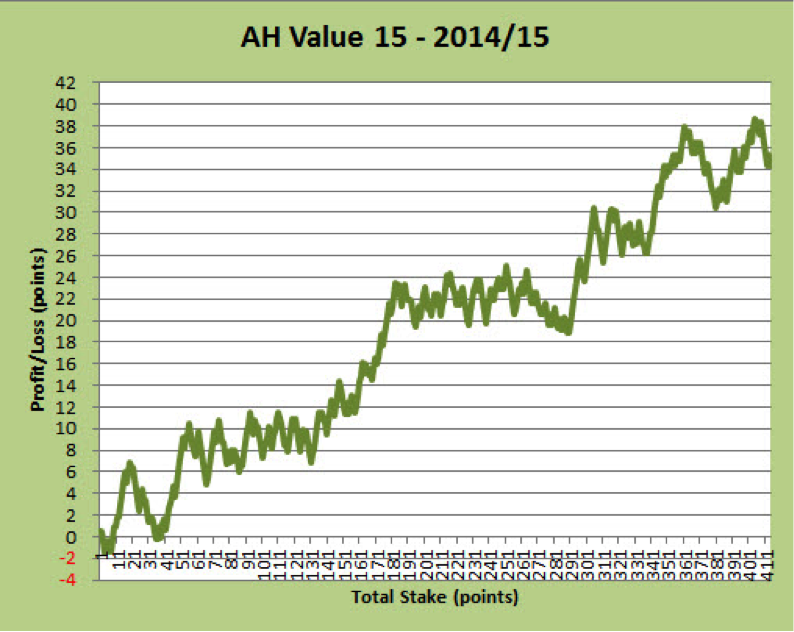 The trailblazer is the AH 15 system, which has made +31.2 points profit with a Return On Capital of 103.8%. For those of you interested in bank growth or ‘Return on Capital’ – this equates to a 103.8% increase on your betting bank since August. This is no flash in the pan either with 5/6 previous seasons pulling in a solid profit! Badrinath is a well connected racing expert, who has agreed to post his regular tips on the SBC Forum for the foreseeable future. He has got off to an excellent start with a 10% ROI from his first 555 bets and given his pedigree, we only expect this to continue. Greeneye is a solid all round racing tipster who has enjoyed a highly profitable 2015 so far. Big winners include Under The Phone on Feb 2nd at 15/1 and Regal Encore on Feb 8th at 10/1. Recent winners have helped keep the momentum going, with a profit of +43.13 points (10% ROI) since posting started on our forum. 4. 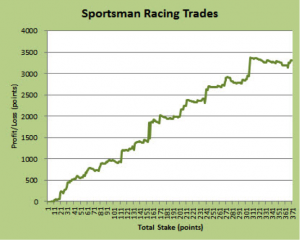 The Sportsman’s Racing Trades +£3,301! If the ups and downs of horse racing are too much for you, then Sportsman’s Racing Trades could be the answer. It’s a simple method whereby you back early and lay late to lock in profit from trading on racing and since it began it has made over £3,300 profit! Worth £24.99 a month – this expert racing trading service is now free to all Platinum SBC members at least until the end of May. All of the above free tips & systems are available to you as a Smart Betting Club member, alongside many of the additional benefits listed below. Simply choose the membership package that suits you best (Silver, Gold or Platinum) and tailor your subscription to your requirements. With the Grand National now less than two weeks away, bookmaker marketing machines are about to about to go into melt down. The ‘National’ is a British institution and many bookmakers will plan their year around their takings from one race at Aintree. Be prepared for lots of red hot offers such as Faller Refunds and paying out to six places. So the bookies are falling over themselves to take your money, but this still leaves the thorny questions of how to pick the Grand National winner. We would love to share with you the top tips from all the professional tipsters that we track for Smart Betting Club members, but most will either avoid the National or just treat it like any other race without too much of a fuss. You see the tipsters that we track aren’t concerned about winning bragging rights from picking winners in high profile races, they’re entirely focused on making their members a long term profit. Find out more here. Just last week we released our latest Smart Betting Club Tipster Profit Report which features the latest results from over 50 tipsters that we have uncovered in 8+ years of independent reporting. The well respected tipster elevated to our Hall of Fame with a 12 month Return on Capital of 209.5% gained at an ROI of 19.1%. The busy tipster that has crammed a total profit of 624.4 points into just eight months representing an ROC of 312%. The magical tipster who is a model of consistency without a losing month since January 2014 and weighing in with a 12 month ROI of 26.9%. These are just the highlights of what is turning out to be a vintage Winter season. 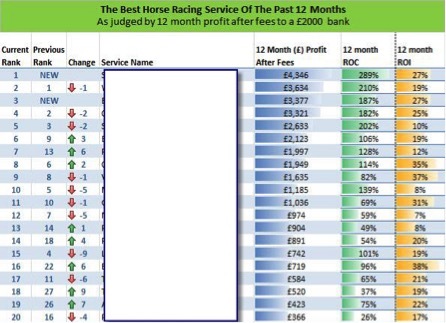 In our latest report you can find out just who the best racing tipster services are from the past 12 months. This is AFTER tipster subscription fees have been deducted. If you’re not into racing, don’t worry, we have the same table available for sports tipsters. We have blanked out the names of the tipsters as this is for full members only but as you can see – the top tipsters are making an excellent profit. This table also includes other key figures such as Return on Investment (12 month ROI) and Return on Capital (12 month ROC). If you’re looking for a low cost tipster, then we also highlight the performance of any tipster who charges £30 a month or less (some are free).